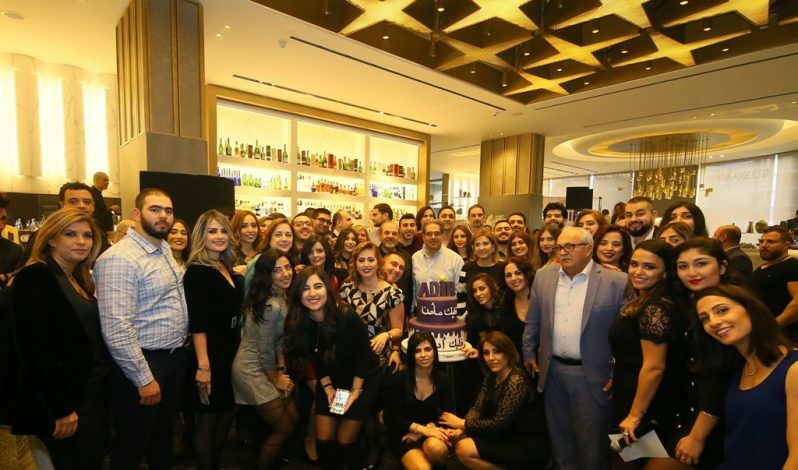 ADIR held its annual gathering on Saturday, January 26th, at Seray restaurant in Downtown, Beirut. Mr. René Klat, Chairman of the Board, welcomed all invitees and congratulated them for their loyalty and dedication. Mr. Labib Nasr, ADIR Chief Executive Officer, seized this opportunity to praise ADIR’s team on the positive results and achievements in 2018, noting that ADIR registered 6% growth in its gross written premiums, reaching around $77 million. Moreover, he encouraged them to deploy more efforts this year, given the current economic situation. Mr. Nasr concluded by reminding his colleagues that ADIR is known for its good reputation, and we’ll need to work hand in hand and deploy more efforts to sustain ADIR’s legacy. During the event, Mr. Jean Hleiss, Director and AGM, and Ms. Marlene Abi Antoun, Head of IT, were offered a trophy of appreciation for their ultimate dedication throughout the past 25 years spent at ADIR. Prizes were also offered and some lucky members won valuable vouchers and others won a weekend stay in Laqlouq. The luckiest winner won a vacation for two to any European destination of his choice. Everyone enjoyed the great ambiance, prizes, delicious meals, the dancing that took place all the afternoon and looked forward to next year’s gathering.